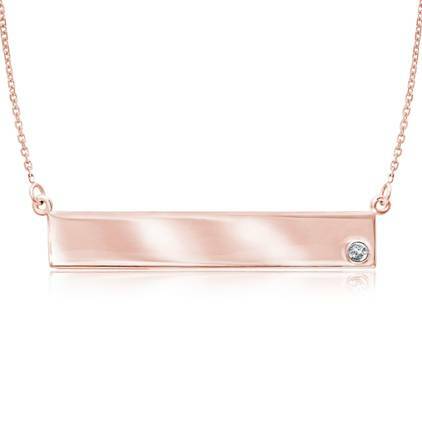 14kt rose gold bar nameplate necklace has a round 2pt diamond accent. It dangles from an adjustable 16 to 18in diamond cut cable chain and lobster clasp. Pendant dimensions: 1 1/4in x 1/4in. Thickness: .5mm. Weight: 3.2 grams. Diamond clarity I3, color: H. Import.